This month the entertainment world are mourning the loss of good friends. Alan Rickman who was well known for his roles as Gruber in "Die Hard" and in the Harry Potter series as Professor Snape passed away this past January 14 to cancer. Last edited by Placid on Fri Mar 25, 2016 2:48 am, edited 3 times in total. This month the family of Celine Dion have suffered a double loss. Rene Angelil who became mentor, manager, and later husband of singer Celine Dion, has succumbed to his illness related to his bout with cancer in the throat. Rene met a 12-year-old Celine that catapulted her career in 1990. Right before he became Celine's companion in life. Rene leaves behind Celine along with 3 sons - Rene-Charles, Nelson and Eddy. Angelil was 73. Celine's brother Daniel also succumbs to cancer. He was only 59. Just 2 days after Rene's death. Last edited by Placid on Wed Jan 20, 2016 7:01 am, edited 2 times in total. Late '70s actor Dan Haggerty - well known for his role in the series "Life and Times of Grizzly Adams" also passed away to cancer. Last edited by Placid on Sat Jun 04, 2016 4:52 am, edited 1 time in total. Also Glen Frey from the Eagles and Natalie Cole this past week. Sad to say Dan Haggerty will, for the most part, only be known about by Americans of a certain age so his death didn't get much attention. I loved 'The Life and Times of Grizzly Adams' as kid though. Edit: Missed that there was already a thread for Glen. We got Grizzly Adams in Australia RaggedMan and I loved watching it growing up. Now that's sad news to hear. I'm not surprised that his show would've went off well in Australia. Took a quick look at what years it ran and I was older than I thought when it was on the air. I would've sworn that it was when I was 10-11 but was actually my mid-teens. I guess I was thinking of the original movie that came 3 years before the show. Also remembering: Olympic Downhill skier Bill Johnson who made history by becoming the 1st US skier to win the unprecedented Gold medal at Sarajevo in the 1984 Olympic Winter Games, passed away from a stroke related to his skiing accident at Montana's The Big Mountain in 2001 after attempting his Olympic come back. Last edited by Placid on Wed Mar 09, 2016 11:06 pm, edited 1 time in total. Gerald Williams - Former BBC television and radio tennis commentator. Gerald was one of the great BBC tennis voices and personalities. Often regarded as the "voice of tennis" here in the UK. He was 86. I always thought that was Dan Maskell. Yes, Dan was indeed cited as the undisputed BBC “voice of tennis or voice of Wimbledon” but Gerald too was often heralded as one of the great voices within tennis. Former Warwickshire cricketer Jack Bannister has also passed away. As a lifelong supporter of Warwickshire County cricket club, this too is sad news. I never got to watch him play first hand (before my time) but his record for the club remains impressive. Sir Terry Wogan died today. Condolences to the current Mrs Wogan and the rest of the family. I'm a big fan of Terry Wogan, and I love the "current Mrs Wogan" line (certainly not meaning any disrespect). Long time veteran actor Abe Vigoda passed away in his sleep on January 26. He was well known as the foot soldier in "The Godfather" and his role as Sgt. Phil Fish in the long time ABC sit-com Barney Miller. Also two original members of Jefferson Airplane died in the last couple of weeks: Signe Anderson and Paul Kantner. Maurice White, founding member of Earth, Wind and Fire. A guy I was a big fan of & I still play his music regularly had his 57th anniversary this month. February made me shiver & I can't remeber if I cried, the day the music died. "To Kill a Mockingbird", wow! what a masterpiece! Mockingbird is one of the best (non-fiction) books I've ever read. RIP Harper Lee. Former American Gladiator Lee "Hawk" Reherman has passed away Monday night after being found unresponsive in his Manhattan Beach, California home by his girlfriend. Reherman was 49. Long time veteran actor George Kennedy who was credited in movies such as Dirty Dozen, Cool Hand Luke, Magnificent 7, Dirty Dingus McGee along the Naked Gun trilogy among others passed away. George Kennedy was 91. Sha Na Na saxophonist Lennie Baker passed away after developing an infection. Baker was 69. Rocky fans, Tony Burton, 78. Burton portrayed "Duke" Evers - long time Apollo Creed trainer and Rocky's trainer. He was 78. Tony Dyson the builder of the famous R2-D2 droid gone at 68. Tennis journalist and broadcaster Arthur Worth "Bud' Collins. He was 86. Country singer Joey Feek has succumbed to cancer. She was 40. Author Pat Conroy - Award-winning Best selling author that brought "The Great Santini" and "the Prince of tides" to the movie screen. He was 70 due to complications of pancreatic cancer. Richard Davalos. Known in the movie "East of Eden" opposite James Dean. He was 85. Last edited by Placid on Sat Mar 26, 2016 12:57 am, edited 2 times in total. Veteran editor and journalist Alan Henry. TO ALL FANS OF THE BEVERLY HILLS COP TRILOGY. He would be remembered as the frustrated highly tempered chief Inspector Douglas Todd in the Beverly Hills Cop Trilogy. His only roles in his short acting career. But in real life, he was Detroit's finest. And was involved in the Atlanta Child Murders investigation in 1979. Former Detroit Commander and 1-time actor Gil Hill has succumbed to respiratory problems related to complications of pneumonia this past February 29. Hill also ran for Mayor in 2001 only to lose to Kwame Kilpatrick (Who later was involved in a racketeering scandal before his conviction in 2013). His career spanned 3 years in the USAF, 42 years in the police force, and later in city council. A class gentleman and a scholar. It was the reason he never pursued acting. But he deserves to be in the walk of fame. How about it Eddie? Go get him a star. YOU WILL BE MISSED INSPECTOR!!!!!!!!!!!!!!!!! Hill was 84 years old. 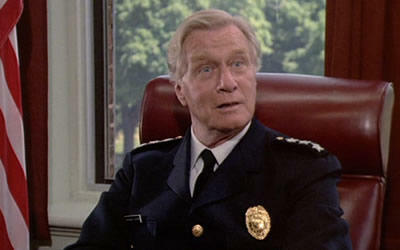 George Gaynes: Known as the foster father in "Punky Brewster" and as Commandant Lassard in "Police Academy"
He was 98. RIP Sir! Keith Emerson - co-founder and keyboardist of rock group Emerson Lake & Palmer (In which was later became Emerson Lake & Powell) and The Nice, passed away. The grim reaper is certainly making sure he harvests his quota of souls early this year. Paul Daniels, the legendary British magician passed away. He had been diagnosed with a brain tumour just last month. I had actually met Paul Daniels briefly in Edinburgh after seeing his show at the Fringe maybe 5 years ago. I also saw him perform at Strathclyde Uni about 10 years ago. A great showman. Put up with our drunken patter at the Uni, and my mate panicking when asked what his job was when we were in Edinburgh. Comedian and Actor Garry Shandling died in a Los Angeles hospital this afternoon after friends found him unconscious at his home. Cause of death is still unknown. 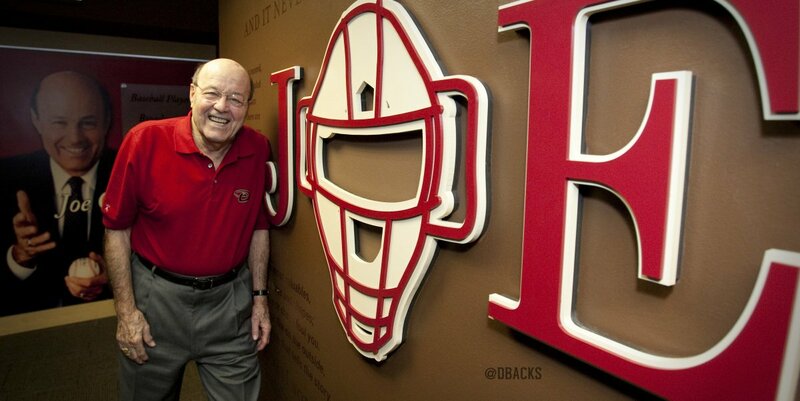 Also passing away this week is legendary baseball sportscaster Joe Garagiola. Former Intel CEO Andy Grove. It was reported that Grove suffered from Parkinsons. He was 79. Controversial former Toronto Mayor Rob Ford from cancer. He was 46. Former Season 12 Bachelor contestant and licensed pilot Erin Storm. Killed in a plane crash. She was 41. Former NFL Fullback Kevin Turner succumbs to ALS today. He was 46. The Waltons and Falcon Crest creator Earl Hammer Jr. after a long battle with cancer. He was 92. He passed away while listening to John Denver's "Rocky Mountain High". Veteran supporting actor and People's Choice award winner David Smyrl who appeared in the '70s sitcom "Benson", and writer of "The Cosby Show" in which played Lucas the contractor, also died of the disease in the lungs. His last role was in "Sesame Street" from 1990 - 1998 when he replaced Leonard Jackson as singing owner of Hooper's Store Mr. Handford. Smyrl was 80 years old. The love of music never stopped David Baker. The instrument switch gave him more life than ever after he sustained a serious jaw injury that prevented him from playing his trombone again. From there, he became the most influential composer, and teacher that Indiana University has ever known. It was also his alma-matter. This past Saturday, Baker passed away. Belgian cyclist Antoine Demoitie has succumbed to injuries following the Genk-Wevelgem Cycling event in France after he was struck by a motorcycle. Rita Rizza who was well known as Mother Angelica passed this Easter Sunday due to complications of a stroke after she suffered cerebral hemorrhage in 2001. The founder of Eternal Word Television Network (ETWN) was 92. Also passing away is actor James Noble who was well known as Governor Eugene Gatling in the ABC sit-com "Benson". Academy award winner Patty Duke passed away due to sepsis from a ruptured intestine. News has just broken in the last few minutes but Ronnie Corbett has passed away. This is getting silly now. One of the greatest voices in Star Wars is heading to the Milky Way. Erik Bauerfeld who was known as the voices of Jabba the Hutt's staffer Bib Fortuna and Admiral Ackbar has passed away. NOW ON TO A GALAXY THAT IS VERY FAR FAR AWAY!!!! AND THANK YOU!!! A country music icon was to celebrate his 79th birthday today. But Merle Haggard will be mourn instead after the Country Music hall of famer died of double pneumonia at his home this morning. Our hearts go to his family and to the country music world. The okie from muskogee is gone, may he R.I.P. Indonesian pop singer Irma Bule who was well known for singing with reptiles, was killed after stepping into a cobra causing it to bite her on her thigh. Right after the bite, she continued on for 45 minutes despite the handler's plea to stop. Last edited by Placid on Sat Apr 09, 2016 1:01 pm, edited 1 time in total. My thoughts do of course go out to her family and friends. However, what an utterly stupid stage act. The law of averages would show that she was going to have an accident at some point. Bonkers and idiotic.